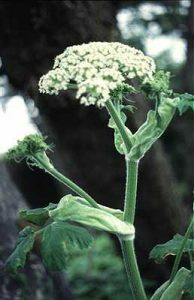 I’ve mentioned our native Cow Parsnip (Heracleum sphondylium) and Angelica (Angelica atropurpurea) in past posts because they can be mistaken for Giant Hogweed (Heracleum mantegazzianum). But today I thought I would write about them specifically. They are two very interesting plants and they provide much needed nourishment for our pollinators fairly early in the season. It is difficult to believe the Cow Parsnip is a member of the Carrot family because of its large size and leaves. Angelica is also a member of the Carrot family. 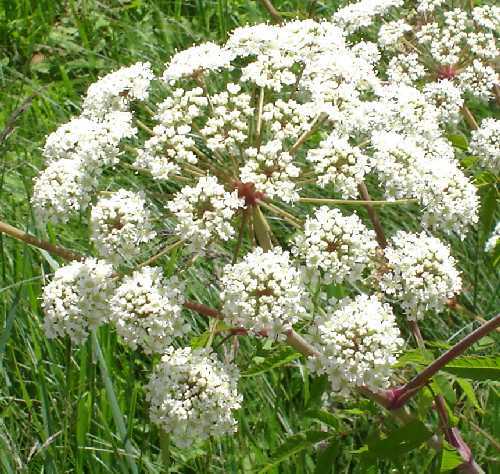 Its Latin name means angelic, named so by a monk because an angel told him this plant would cure the plague. Note: Click on photos in gallery to enlarge and then click again. 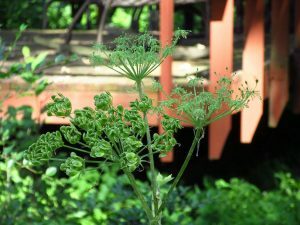 In my prairie, Angelica grows to at least eight tall. There’s probably another three feet to this plant that I didn’t get into the photo. Seeds are starting to form on the Angelica. The seeds will cluster into a ball-shape seed head. Cow Parsnip gets nearly as tall as the Angelica. 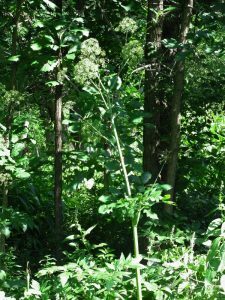 Note the difference in the leaves. 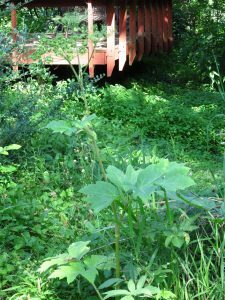 Cow Parsnip’s leaves are much bigger and not so fern-like. Cow Parsnip seed heads are quite flat and the seeds are quite large. An interesting summer look on an six foot tall stalk. Hey, I think some of your cow parsnip and angelica photos are switched up. 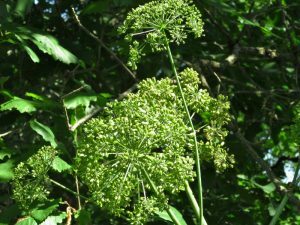 Angelica seed clusters are more ball shaped and cow parsnip are more flat. Thanks for catching that, Michael. You are right. I’ve corrected my post. Don’t hesitate to let me know if you catch an error in the future. 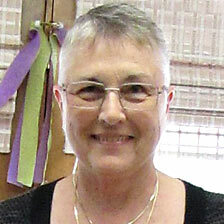 I need my readers to keep me honest!